If you are in the market for equipment or tools, CORAL PACKAGING & JANITORIAL SOLUTIONS carries a vast array of machinery, from heavy-duty commercial grade floor scrubbers to ergonomic, HEPA filtration back pack vacuum cleaners. A quotation that suits your needs is just a call away. Whatever you need, uprights, backpacks, canisters, bagless, cordless, handheld, heavy-duty, commercial, household... we carry them all. 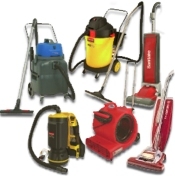 Commercial Carpet Extractors, self-contained or with detachable hoses, spot cleaners and air movers. 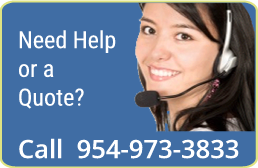 At CORAL PACKAGING & JANITORIAL SOLUTIONS you will find excellent, efficient, powerful and easy to use equipment. All products are backed up by the manufactures warranties. 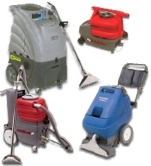 We carry an assortment of multipurpose machines for polishing, stripping, cleaning, carpet bonneting and shampooing. We also have available ultra-speed burnishers, automatic scrubbers, battery operated equipment, and more. Vacuum bags, belts, and magnets. Pads in general - stripping, cleaning, buffing, polishing. Great selection of collors and sizes. Sanding Screens, Steel Wool, Yarn Bonnets. Pad drivers & clutch plates. Power Cord: Cordless varieties or models with extra long cords will allow you to move freely from room to room without having to unplug and switch power sources. Quick cord releases make getting started and storing your vacuum away when finished easier. Cleaning Path: Vacuums with wider cleaning paths will save time and increase productivity while cleaning. Vacuum Performance: Two important ways to measure vacuum performance are airflow (CFM) and lift (in). Filters: For optional vacuum operation, check your filters frequently. For allergen-sensitive areas like hospitals, schools or doctor's offices, HEPA filtration systems are highly recommended. Bag Replacement: As the bag fills, less air flows out and the cleaning performance of your vacuum reduces, It is very important to replace or empty bags when they are full. Attachments: You can find a variety of tools and accessories for your vacuum. Be sure to select compatible tools, filters and accessories that address your specific needs best. White - Polishing - Light dry-polishing or light water spray for high gloss. Red - Buffing - For spray buffing, cleaning and polishing. Blue - Scrubbing - For scrubbing or heavy-duty spray cleaning. Removes soiled top layers of finish. Green - Scrubbing - Ideal for heavy-duty scrubbing or light stripping. Black - Stripping - For heavy-duty stripping. One of the basic principles of green cleaning is that cleaning protects the health of the people that live, work, visit or study in the buildings we maintain, not just to make the buildings shiny. Green cleaning gives us the opportunity to create a truly clean environment while taking into consideration all of the impact our methods and products might have on human health and the planet, both short and long term. Since we don’t always know what those consequences are, it is a good idea to make conservative, eco-conscious choices. Do you need more information about our Equipment & Tools product lines?